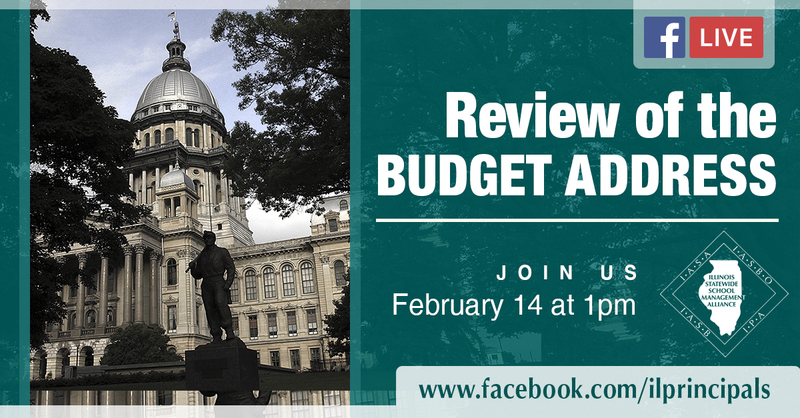 The Illinois Association of School Boards (IASB) will join the Illinois Principals Association (IPA) to host a live Facebook discussion following Governor Bruce Rauner’s budget address on Wednesday, Feb. 14. The Facebook Live event will take place at 1 p.m. The broadcast will be streamed live on IPA’s Facebook page and shared through IASB’s page. 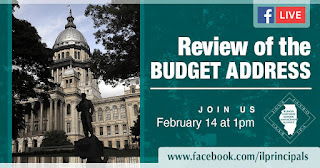 IPA’s Director of Government Relations Allison Maley and IASB’s Director of Governmental Relations Zach Messersmith will discuss the governor’s Fiscal Year 2019 proposal and take budget-related questions from viewers. Illinois school officials and public education advocates are encouraged to submit questions in Facebook comments below the live stream or direct message IASB on Twitter (@ILschoolboards). Governor Rauner is scheduled to begin his budget address at noon. Visit the Illinois General Assembly website to watch or listen to the speech. To receive notification of when the live discussion begins, viewers will need to “like” the IPA and IASB Facebook pages.